Be honest, who doesn't like the smell of fresh flowers? Like the fragrant Blue Hydrangea, the Purple Lilac, the White Lily, and of course beautiful Roses. You have to admit a beautiful arrangement of flowers really can brighten up any room and can make any woman's day. Our bouquets of flowers are not just for Valentines Day or Mother's Day, get that special lady in your life flowers for no reason at all. 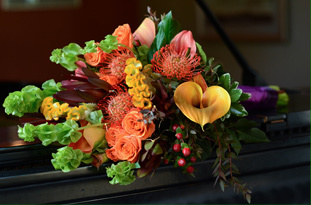 At Renton Flower Shop we will work hard to make you the arrangement that you want. If you have a specific occasion that you are buying for, such as a wedding or funeral, but are unsure about what to get for flowers we can help you and make suggestions so the final product is exactly what you wanted We have a wide selection of floral arrangements that we create. If you are looking for a modern look that would be a good accent to any office or home, as well as for a birthday gift, then you need to check out our Modern Collection. Maybe you are looking for a large fragrant flower that could convey your love or sympathy to someone, then you would love our Lilies Collection. Of course everyone thinks of the rose as the top-notch flower to give to someone you care about. These stunning classic flowers come in a range of colors from vibrant reds to cheerful yellows to pure white and every color in between. The next type of flower we offer is the orchid. This flower symbolizes beauty and love. Pure white and deep purple hues are just a few of the luscious colors this exquisite flower comes in. Another collection we have are plants, these are live and are so rewarding to grow. Our blooming plants are delivered at the peak of their beauty, they are guaranteed to be in good health, and they arrive with care instructions. 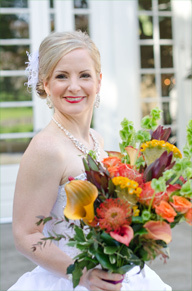 If you need a Florist in Renton, Bellevue or surrounding areas, please give us a call.